From fast oil changes to in-depth transmission repair, our Schaumburg, IL FIAT service center has everything you need to keep your FIAT looking and running perfectly all year long. Our certified FIAT experts understand your FIAT vehicle better than the corner quick lube establishment. So why take your FIAT anywhere else? For fast, reliable FIAT auto service and authentic FIAT auto parts, let Zeigler FIAT of Schaumburg be your first choice today. 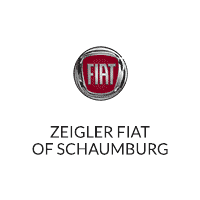 Be sure to visit the other members of the Zeigler family in Schaumburg, IL including Zeigler Alfa Romeo and Zeigler Maserati. We look forward to serving you!